The Blue Bubble Traxedo is such a brilliant outfit, we almost can't talk about it. Well, if we have to say something then we're going to let you know that once you see it you can't un-see it. And that means if you don't get one, your next race will be so sad because you'll know that you could have been wearing one. Are formal parties not exactly your cup of tea? Well, sometimes you have to attend a fancy festivity that you necessarily don't want to, but that doesn't mean you have to compromise your sense of style. Show up to the dapper affair looking classy but not over the top. You'll feel like yourself and that'll feel good. So sit back, relax, and pour yourself a glass of something sophisticated. You're comfortable and you look like a million bucks! On St. Patrick's Day, you have to be ready for anything. You could end up at a fancy 5 star restaurant, or you could end up running away from a pack of wolves. (Hey, it COULD happen). It's best just to be prepared for both. 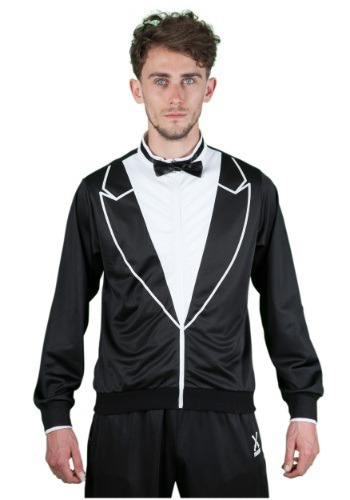 This Green Irish Traxedo has the class you'd expect from a tux, but is made of a material you can afford to do some mild jogging in. Working out is classy. There. We said it. We just wonder why no one else has taken the time to make an outfit that reflects the true class of physical self improvement. 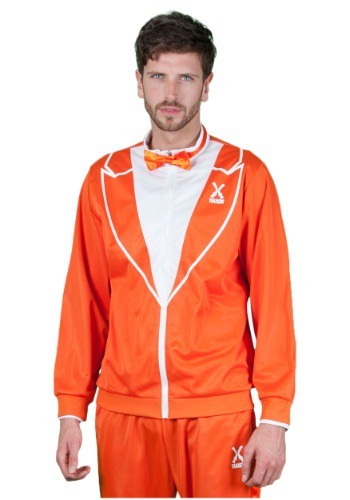 Luckilly, the guys from Traxedo have made the mind-bending combination of the tuxedo and the tracksuit with The Orange Dutchman Traxedo. Style, comfort and a splash of orange for good flavor, it's impossible to NOT feel good while going for a jog while wearing it. When you go out for a run, jog with confidence. Make eye contact with people driving cars and fellow passersby. 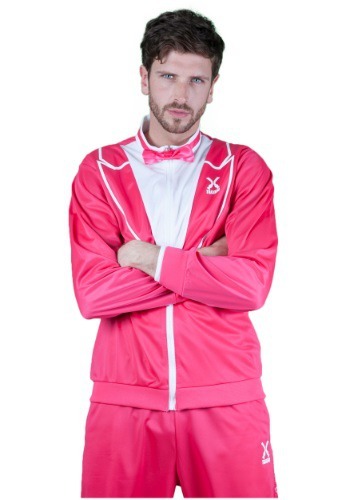 Let them know that you are a man with confidence, that's why you chose to jog in a hot pink tracksuit. Pink screams, 'I'm masculine but I don't have to prove it to anyone.' 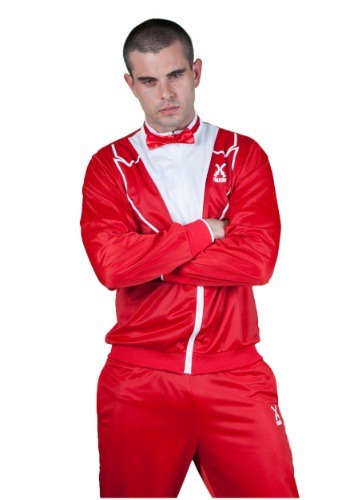 Plus, you'll be the best dressed jogger on the track! The ladies will definitely dig it. You'll have new running 'partners' in no time! Today's man is a complicated being. He's on the go, but still has a desire to be fashion forward. You never know when you're going to need to run from a tiger, or head to a fancy restaurant. You need to expect the unexpected. You need to be prepared for every situation and be dressed for the occasion. You need this The Red Dragon Traxedo. Despite being made out of material you can jog in, it has the fancy look reserved for the finest of 7-star restaurants (yes, there are 7 star restaurants out there). So get out there. Give the world your "A" game.